Reader does not work on Firefox for Android. Chrome based browsers appear to work on Android. In general I'm pretty happy with the reader though, significantly better than Crunchyroll's flash solution at least. Yea, not working on Firefox is pretty big for me. :-\ It's kind of my default browser. Nope, didn't work for me. @aruseus493 Just to check we're talking about mobile right? It might be useful to have a zoom in/out button on the bar (or on double click?) for desktop browsing. 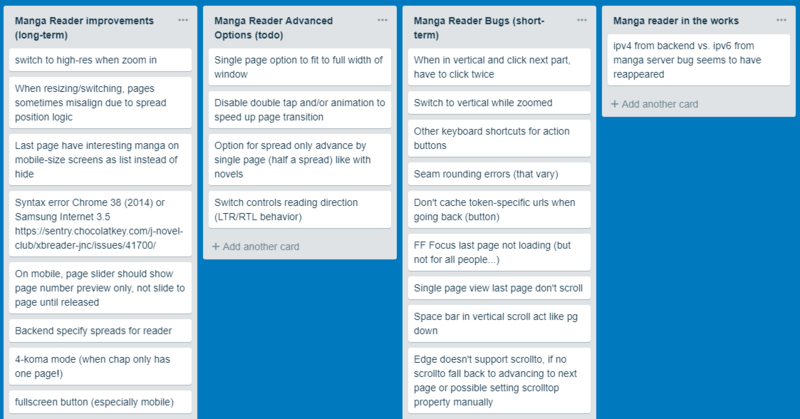 It took me a little while to figure out I had to put the reader into single page mode and then manually zoom my browser in and out and you can't seem to zoom at all on 2 page mode as it automatically scales. It might just be something with a plugin I have or something. I have another weird issue where the close x doesn't appear when you open the little message/chat window. I can still click it to close, but there's no button visually for me. Yeah, I can't read it in Firefox. I disabled all addons, so not that. 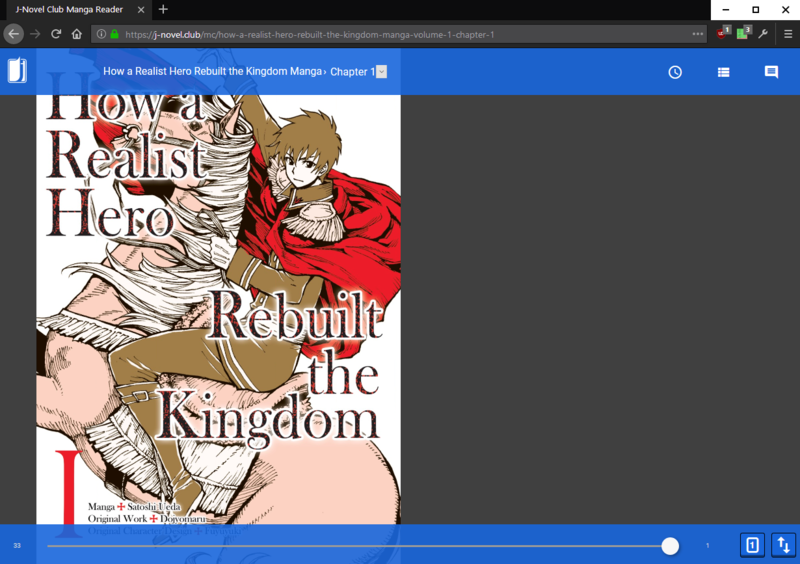 @dtta I'm using Firefox (Desktop) and the manga reader seems to be loading fine, but I'm using an older release so not sure if that might have something to do with it. For me, what happens on Firefox desktop is that I click on Read Now, and it just sits there unresponsive, no matter how many times I click. However, if I click Read Now and then refresh the page, the manga reader shows up upon page refresh and works fine. @unsynchedcheese I had a similar experience but I got it to work when I right clicked on read now and selected open in new tab. For me it doesn’t work with the base internet app on Android, it just keep loading without displaying anything. > "Write for the web. It works everywhere." @raitoiro What version of android?